Learn about Brooklyn’s beer-brewing past and present on a guided walking tour of a local brewery and the history-rich neighborhood in which it’s located. Brooklyn was a beer-brewing capital for much of the 1900s, but all of the 40+ breweries that existed in the borough pre-1970 have disappeared. Find out why, and what is causing them to return, as your local guide leads you on a brewery tour and a walk through the neighborhood of Williamsburg. Toast your way through the past and present of beer brewing in Brooklyn! This neighborhood was once home to 48 breweries, but this ancient trade disappeared from the borough in the 1970s, only to be reborn in recent years with craft breweries leading the way. If you want a taste (quite literally…) of the history behind beer brewing in New York, look no further! On this NYC beer tour, we take a behind-the-scenes local look at how beer is made at one of Brooklyn’s present-day breweries. Explore the pre-prohibition era as we check out 19th-century brewery buildings, visit landmark sites, and share stories of the German immigrants who lived and worked in the neighborhood. Plus, don’t forget all the craft beer and food along the way! We enjoy a number of great Brooklyn brews from all kinds of spots, and stop off at a local pizza joint for lunch. 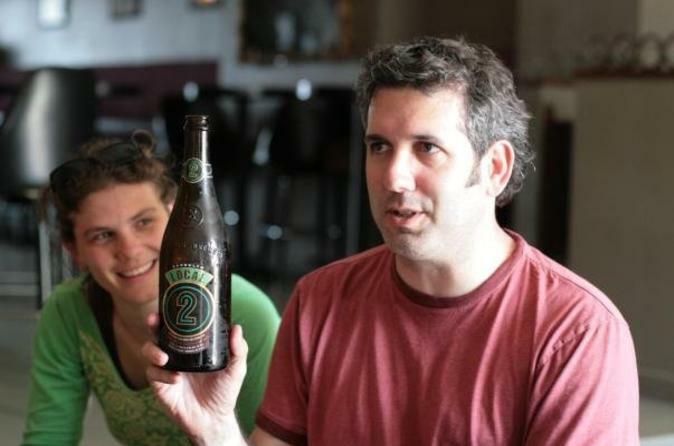 Join us as we raise a glass to the history and masters of beer in Brooklyn!